For many active people, anything that involves baseball is the way to go. Whether you’re getting ready for your community baseball team’s game, are spectating at your child’s upcoming tee-ball game, or simply like to look the part in a sporty get up, a baseball shirt and baseball apparel is where it’s at! Lucky for you, there is a large selection of wholesale baseball shirts to help you look the part when game time rolls around! 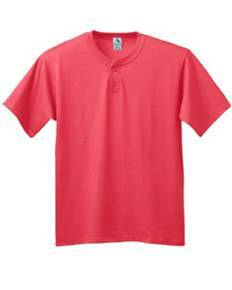 Our collection of baseball shirts and apparel is available for both children and adults. After all, we understand that whether you’re a devoted fan or a star athlete, the love of the game starts at a young age and your favorite classic tee may not cut it. Offered in sizes ranging from XS-4XL, we are confident that you’ll find the perfect fit you’ve been looking for. Best off all, available in polyester and polyester blends, you can look forward to durability and high quality athletic baseball gear that will withstand your active lifestyle! 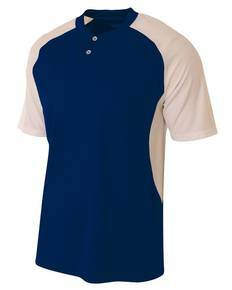 If it’s short sleeve wholesale baseball shirts, long sleeve tops, ¾ sleeve baseball shirts, practice jerseys, or baseball pants- we’ve got it all to dress you from head to toe! Each of our options is perfect as is, but are also ideal for all of your screenprinting needs. Just think- your very own baseball shirt awaits your championship-winning team logo on the back! As you tally your team’s sizes and get ready to gear up for the season, you can look forward to the best prices around and free shipping on orders over $69! So, when gametime rolls around, you'll be ready!